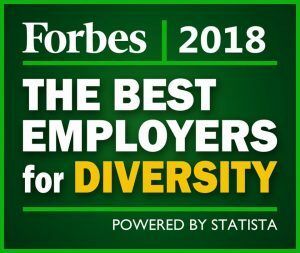 Forbes has published its first-ever “definitive list of the best employers for diversity in America” in partnership with Statista, a global research firm based in Hamburg, London and New York. “One study after another has shown that companies with more diverse teams have stronger financial performance,” Forbes states, reinforcing the undeniable fact that organizations must cultivate, embrace and leverage their diversity to succeed in today’s global marketplace. Based on a survey of 30,000 U.S. employees at organizations with 1,000 or more workers conducted in August 2017, the list factors in data about organizations’ diversity, including gender, ethnicity, sexual orientation, age and disability. Of 250 ranked organizations, NC State came in at #100, one of only fourteen universities in the top 100, including Harvard at #5, Emory at #7, Stanford at #11, University of Iowa Hospitals and Clinics at #16, Johns Hopkins Medicine at #31, UCSF Medical Center at #35, Virginia Commonwealth University at #40, New York University at #49, Medical University of South Carolina at #53, Michigan State at #54, Washington University in Saint Louis at #65, Johns Hopkins University at #84, and UCLA at #99. Forbes discloses on its website that responses among underrepresented ethnic minorities, women, and respondents aged 50 and over received greater weight in the ranking. Where gaps between these respondents and others at the organization differed greatly, scores were adjusted downward. Additional factors included gender representation on management teams and boards and proactive communications about diversity within the organization. See the complete Forbes rankings. 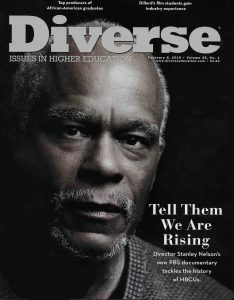 Each February during Black History Month, Diverse: Issues in Higher Education releases its comprehensive rankings of “The Top Producers of African-American Graduates.” The rankings are derived from self-reported data from degree-granting institutions collected by the U.S. Department of Education’s National Center for Education Statistics. The current year’s rankings are based on preliminary data from 2015-16. As in previous years’ rankings, Diverse presents its 2018 rankings for bachelor’s and master’s degrees in Business Administration, Management and Operations; Education; Engineering; and Social Sciences. In the 2017 rankings, NC State ranked sixth in the nation for bachelor’s degrees awarded to African-American students and twenty-first for master’s degrees awarded to African-American students. 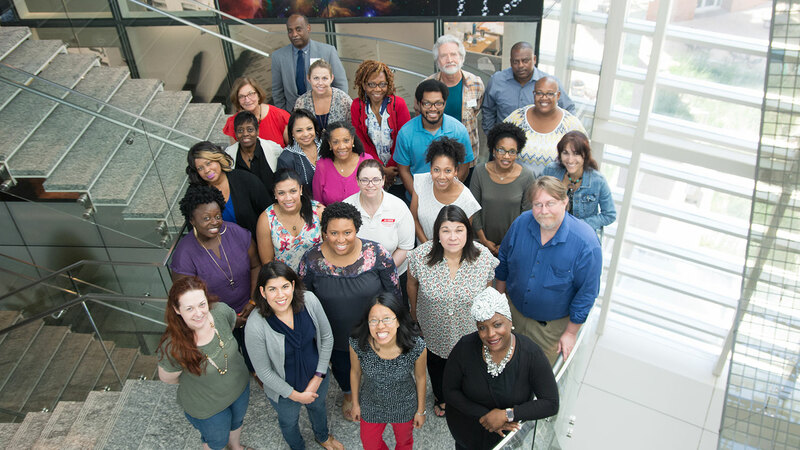 In 2018, NC State posted a significant gain in master’s degrees awarded to African-American graduate students, ranking eleventh in the nation over last year’s ranking of twenty-first. Rankings in this category tend to fluctuate due to the relatively low number of students pursuing master’s degrees in the field; top-ranking University of Alabama awarded 32 engineering master’s degrees to African-American students, one of only three institutions with over 30. NC State awarded fifteen master’s degrees to African-American students. NC State held steady with only a slight drop in bachelor’s degrees to rank seventh, behind the same five leading institutions as last year (North Carolina A&T State University, Georgia Institute of Technology-Main Campus, Prairie View A&M University, Morgan State University and Tuskegee University) and University of Central Florida, who edged into sixth place with a 35% increase in the category with 69 graduates over NC State’s 64.